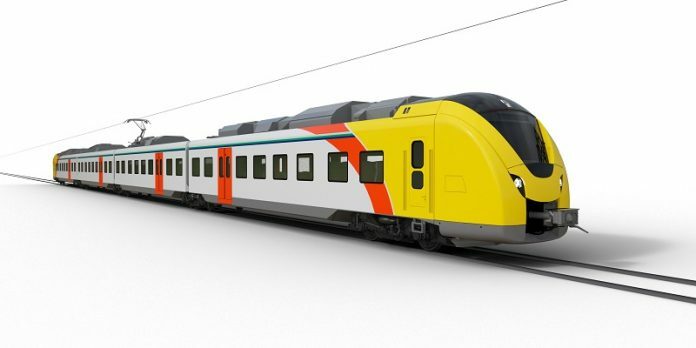 Alstom has received an order from Hesse transport operator Hessische Landesbahn (HLB) for five Coradia Continental EMUs. The order is worth more than €27 million and will see the trains built at Alstom’s site in Salzgitter, Germany, and delivered in December, 2019. Joerg Nikutta, Alstom Germany & Austria managing director, said that the order is a top up from an original €160 million order for 30 Coradia Continental trains made in 2015 for the Südhessen-Untermain network. The new trains, which will operate in the Frankfurt Rhine Main metro area, will help HLB meet the demand from an increasing number of passengers. The four-carriage Coradia Continental can operate at commercial speeds of up to 160km/h and carry ip to 460 passengers. Alstom said that it has been designed with passenger comfort in mind. The train’s traction equipment is located on the roof, allowing for a spacious interior design, including a large corridor for easier movement within the train. It is equipped with wi-fi, power outlets for laptops and a real-time passenger information system that displays connection information. It also features five multi-purpose areas provide space for wheelchairs, bicycles and strollers.